Explore the richness of Lao Tzu’s philosophy for living in harmony with the natural world. In his 80th year, the great sage Lao Tzu made a difficult journey to the western gate of China. He was disillusioned that others were unwilling to learn his path to natural goodness and harmony with nature. At this legendary gate, a guard asked the old man to write down his wisdom. The result was the Tao Te Ching, which remains China's most enduring sacred text. 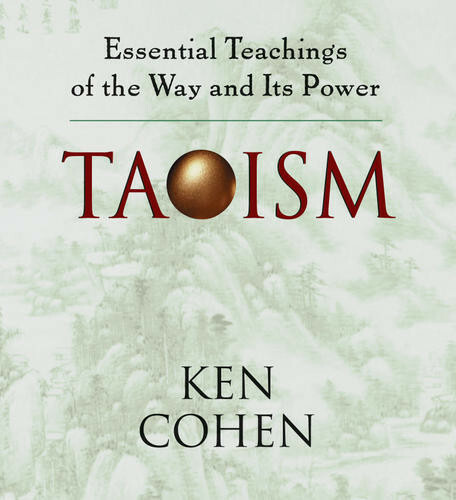 Now, over 2,000 years later, one of the West's leading authorities on the Tao introduces you to this effortless philosophy for living on Taoism: Essential Teachings of the Way and Its Power. In easy-to-follow language, Ken Cohen reveals Lao Tzu's vast spiritual legacy, including Taoism's mystical roots in China's ancient shamanistic tradition. Taoist teachings on diet, poetry, feng-shui, dream yoga, and much more. I give this set as a gift because it is my favorite introduction to Taoism. It is, to me, my favorite work by Ken Cohen. Good, I've been listening to this on shuffle at night and it works well this way. My only caveat wish shuffle is that it favors some bits more than others. I downloaded this from Sounds True, and it was easy and fast. No issues with service or payment. I might have rated this a little higher if I had listened to the tracks in order. I'm a shuffle person, so your mileage may vary.